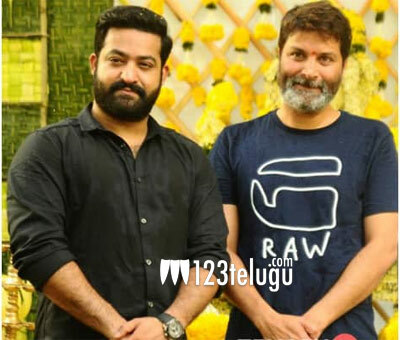 NTR is all set to join hands with Trivikram for his next film. For the last 3 months, the Young Tiger has been toiling to build or lean and fit body. He had had celebrity fitness trainer Lloyd Stevens and is working hard to get a ripped body for his role in Trivikram’s film. As per the latest updates, NTR has lost 20 kilos in just 3 months. This shows his determination to thrill his fans who will be witnessing his never seen before muscular avatar. NTR wanted to show drastic variation in his physical appearance compared to his last two films, Jai Lava Kusa and Janatha Garage. Apparently, Tarak will be sporting the same look for Rajamouli’s multi-starrer, also featuring Ram Charan.